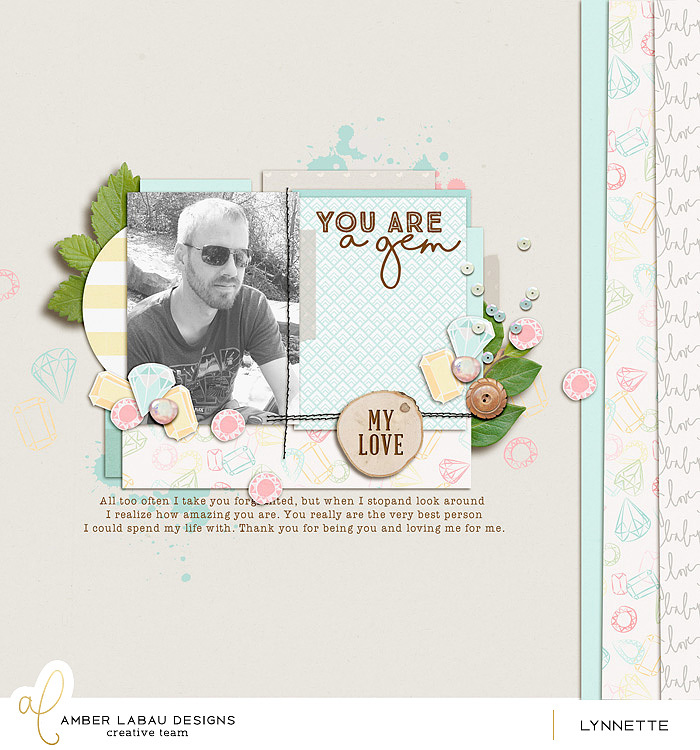 What is an Off-Theme Scrapbook Layout? Well, let me start by saying there are many "everyday" type scrapbooking kits that can fit most typical Project Life pages, or everyday life type layouts. Then, there are themed kits. I'm talking about birthday, holiday, baby, Valentine's Day, etc. So, an "Off-Theme" layout could be a page you create with a kit that is themed for something else. For instance, a baby kit for a ballet class page (those soft pinks could be perfect!). OUTER SPACE THEME to GRADUATION LAYOUT! Let's take a look at some examples, because I love seeing examples! This first one is by Stacia Hall. 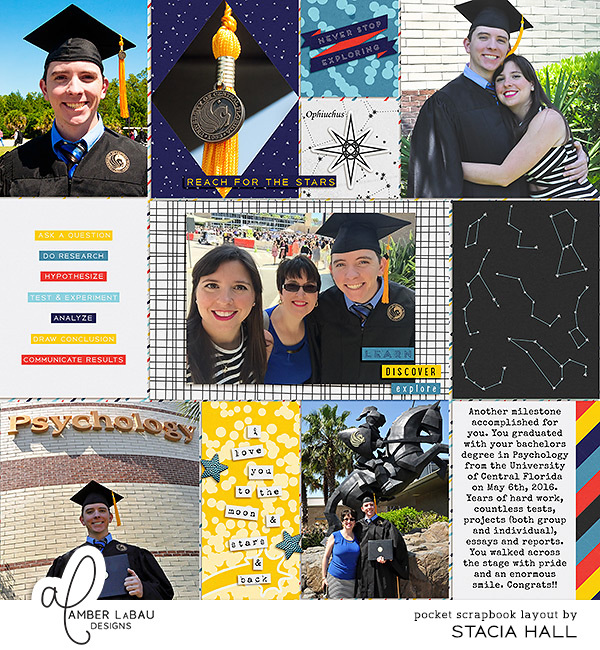 She used Outer Limits cards and elements (which is a great star gazer kit) to document a graduation. "Never Stop Exploring" is perfect for this page! Here's an example of a baby kit being repurposed! Lynette used Brave New World to highlight "what a gem" her husband is. 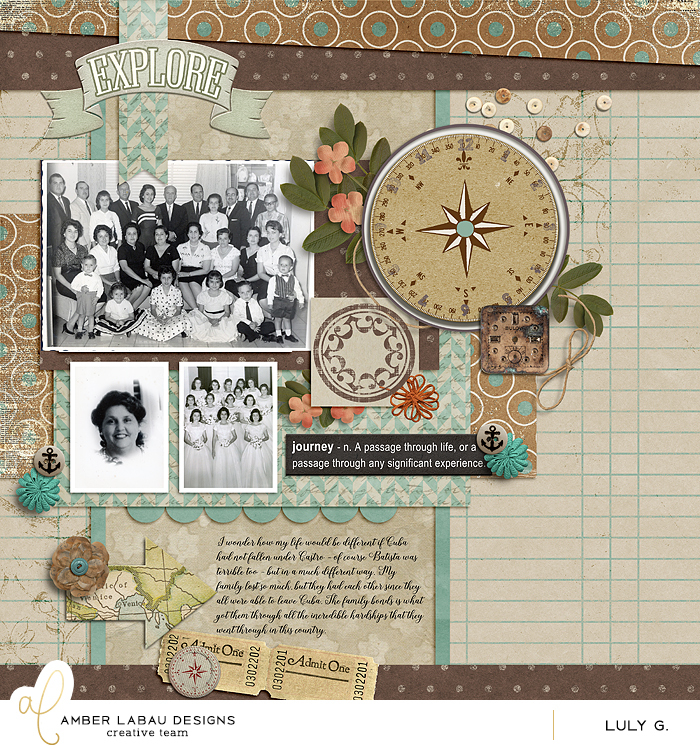 This beautiful heritage page by Luly G. uses a graduation kit, Life's Journey. I love the old world feel of this kit and think it is perfect for using with old family photos. 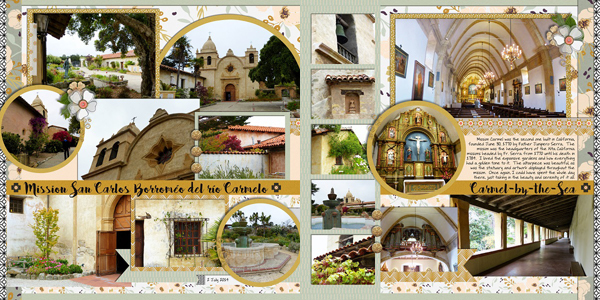 Jan created this layout about the California Missions using some Fall themed papers, Golden. The colors in these fall papers go wonderfully with the architecture of the Missions she photographed. Here's another off-theme layout using Brave New World. 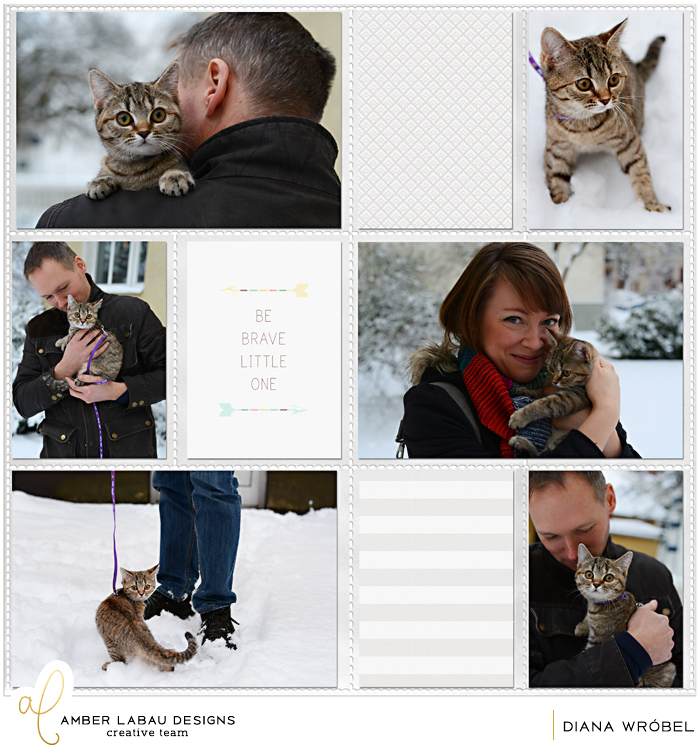 Diana documented a cute little adventure of her kitten getting its first snow experience. Brave New World, indeed! And one last one that I created using the new birthday kit, Cake Smash. 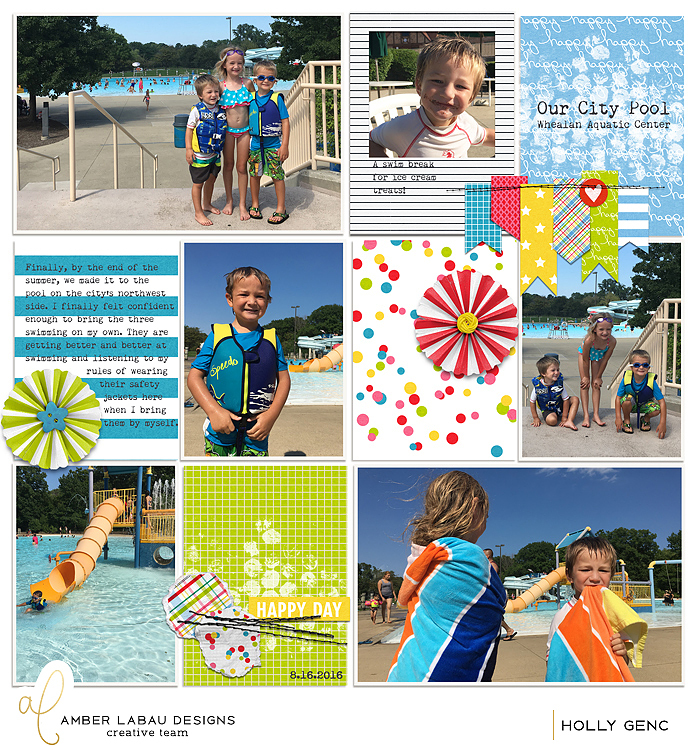 What a fun, colorful kit perfect for a summer day at the pool. I hope this post has inspired you to take a fresh new look at some of your themed kits! I'd love to hear what off-theme pages you have created! This post was also published over at www.amberlabau.com, here.